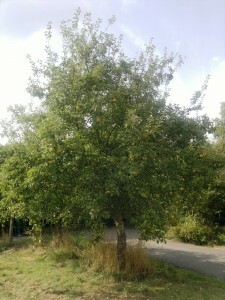 This entry was posted in General interest, Orchard and tagged apples on August 28, 2013 by JV. 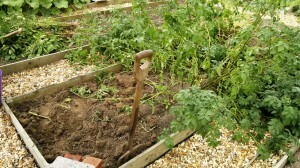 With Arto on hand to lend some much needed manpower, we took the opportunity to lift some potatoes. 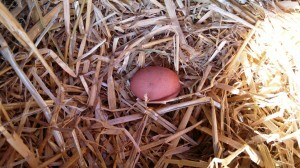 Our first outdoor potato bed was planted on 14 March, with potatoes put to chit on 24 February. 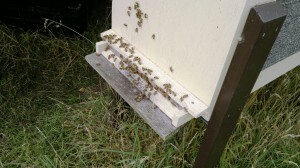 The second bed followed on 2 June, rather later than expected. This entry was posted in Garden diary and tagged potatoes on August 26, 2013 by JV. 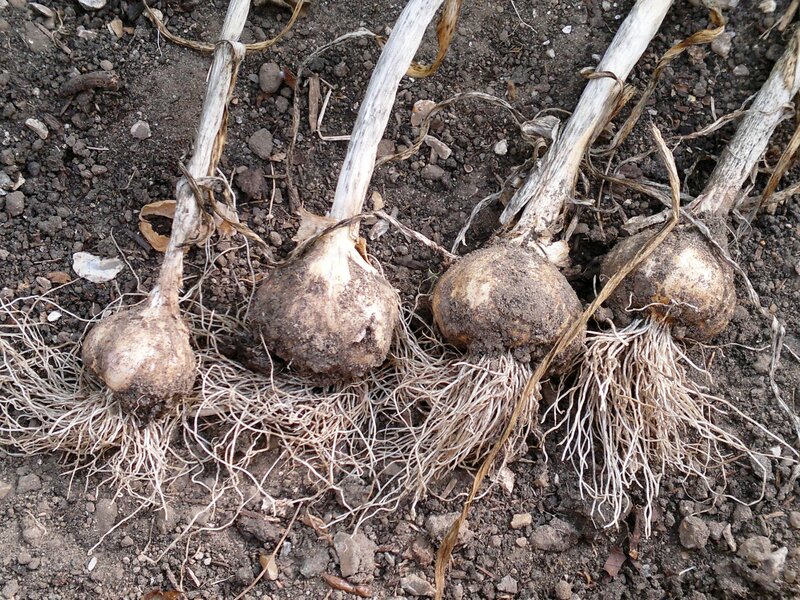 This entry was posted in Garden diary and tagged garlic, onions, shallots on August 26, 2013 by JV. 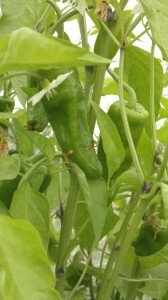 This entry was posted in Garden diary and tagged tomatoes on August 18, 2013 by JV. 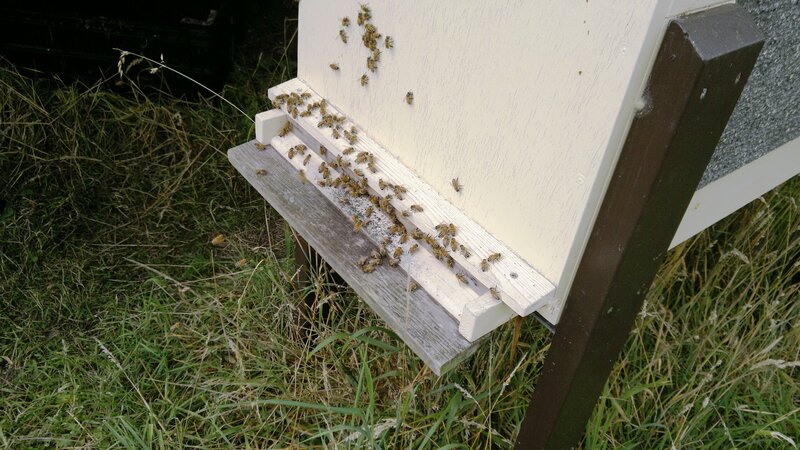 This entry was posted in Beekeeping and tagged bees, honey on August 14, 2013 by JV. 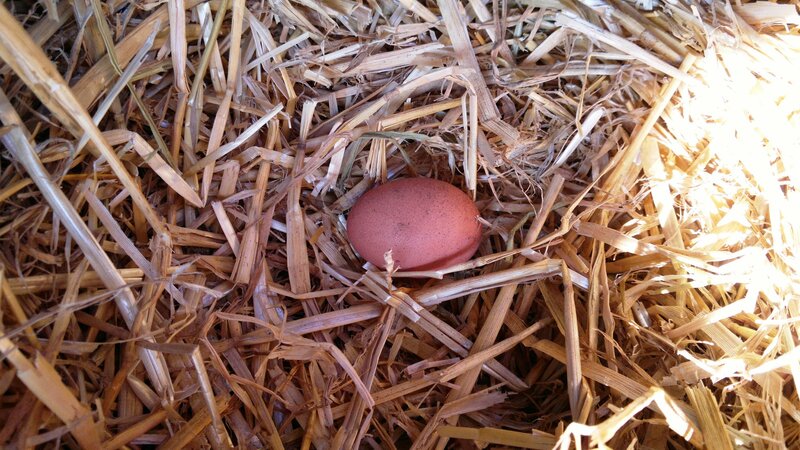 This entry was posted in Chickens and tagged broody hens, chickens, eggs on August 10, 2013 by JV. This entry was posted in Garden diary and tagged apples on August 9, 2013 by JV. In a previous post, I showed the results of our best ever garlic harvest, which produced plenty of large, good quality, and well flavoured bulbs. Certainly the weather has been more favourable this year, although with a rather cold, slow start to the spring, yet I suspect the great improvement came from growing these autumn sown bulbs in the polytunnel. 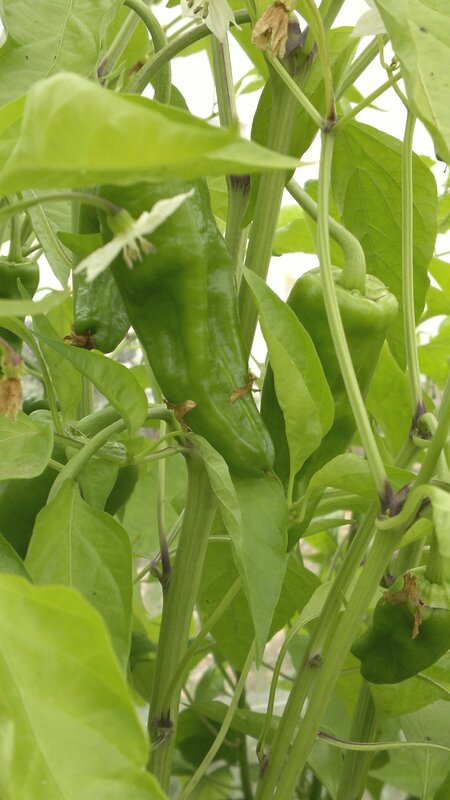 I have yet to find out how the outdoor, spring sown crop has fared, as they still appear to have a little growth left in them. 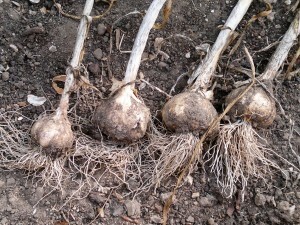 As garlic benefits from a good period of cold to encourage the formation of separate cloves, the spring sowing can result in disappointing bulbs. 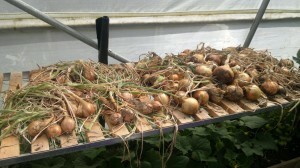 This entry was posted in Garden diary and tagged onions, shallots on August 6, 2013 by JV. Today we made our final sowing of potatoes. 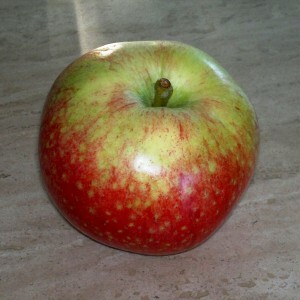 At this time of year, the major seed merchants sell so called ‘second cropping’ potatoes; a rather silly name as they are neither cropping for the second time, nor are they necessarily one’s second sowing. However, tubers sown now – at least here in the south – should provide a crop of new potatoes towards the end of October and through November, and may well stand in the ground in good condition until the end of the year, offering home grown new potatoes for the Christmas festivities. This entry was posted in Garden diary and tagged blight, potatoes on August 4, 2013 by JV.